DesignApplause | Shroom. Ralston & bau. 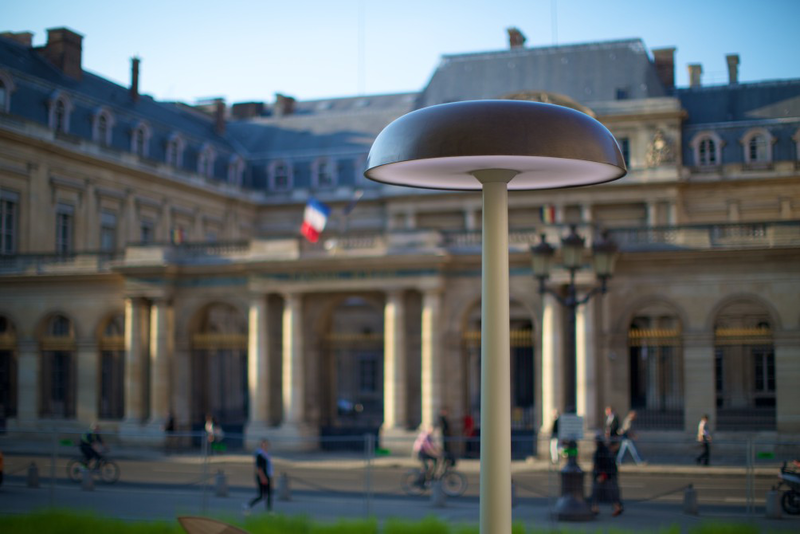 Shroom is an outdoor light fixture and furniture series with an unique detection system that reacts to movement and ambient light. The series is adapted to the life and needs in Nordic cities, close to nature and with long dark nights during the winter. The amazing light of stars and aurora borealis (Nordic lights) are affected by public lighting, therefore the light fixtures are fully lit only when needed. The light dims to a 10 percent light strength, if nobody is in its proximity and when someone passes by, Shroom smoothly brightens to full luminosity, lighting up the path. This is both energy-saving and avoiding unnecessary light pollution. 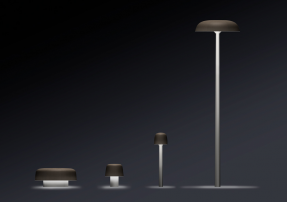 Made from a natural linen based composite material, the light fixture series include a Giant street light, a Just bollard, a Big and Little seats. 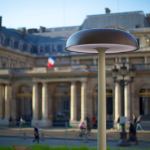 The Shroom series is edited by the french producer SaintLuc and won the Red Dot Award 2013.